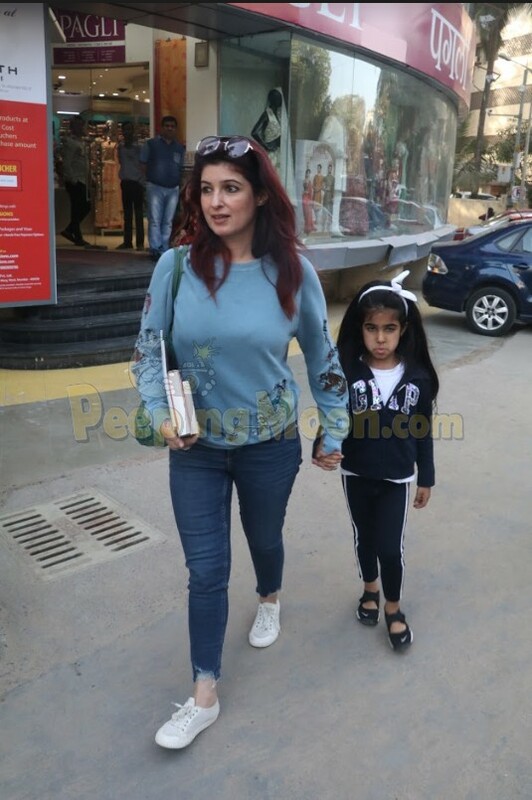 Mrs. Funnybones aka Twinkle Khanna spent her Saturday with daughter Nitara Bhatia at a book store in Juhu. On the other hand, Kajol spent her time at the salon to get refreshed for the weekend. 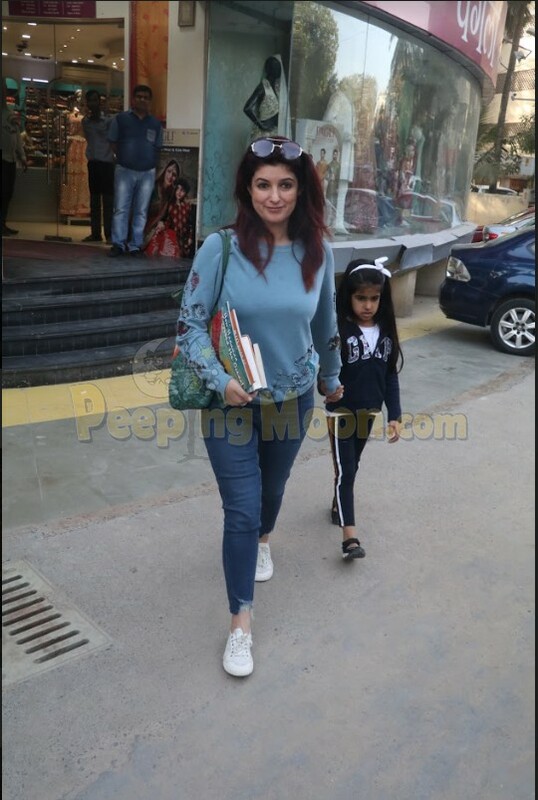 Mother-daughter Twinkle and Nitara looked perfectly ready for the weekend as Twinkle was spotted in a blue top and jeans while donned a GAP jacket and teamed it with a cute bow hairband. Kajol sported a fuss-free look to the salon. She wore a black tee and grey jacket paired with eye-catching sunglasses. Dhadak actor Janhvi Kapoor was clicked by our shutterbugs as she exited a plush cafe in Mumbai. Janhvi paired shorts with a grey top for the weekend outing. 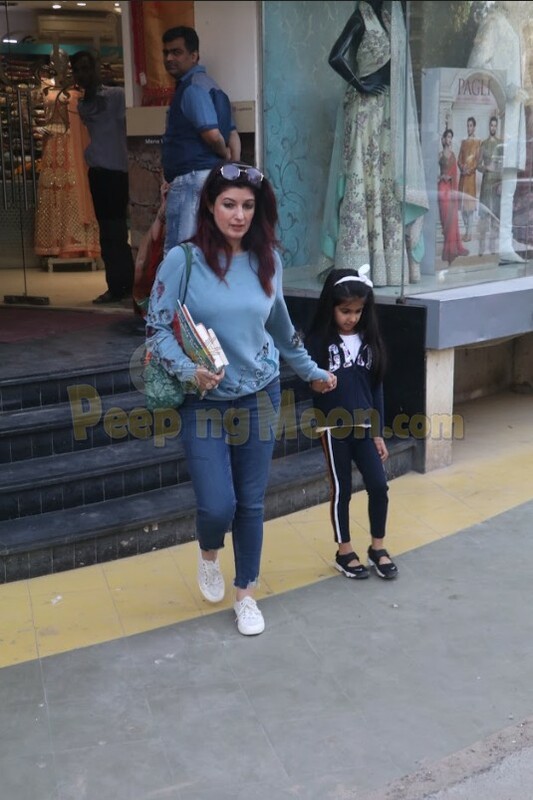 Our Bollywood divas are spending their weekends right. How about you?